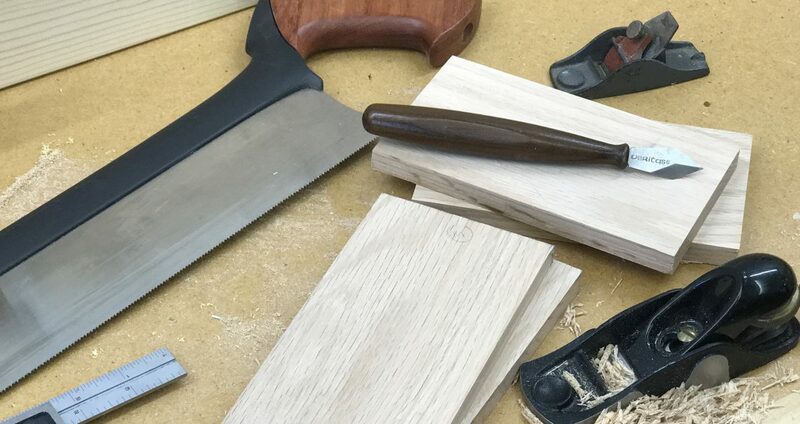 I thought about titling this post “The Physics of Hand Planes” but that sounded too much like a high school or college class title. I’ve always been intrigued by why some hand planes seem to work better than others. My criteria is what type of shaving it produces. For me, if I can produce a thin, full-width shaving with a smoothing plane, I consider that plane well-tuned. Of course, there are a number of factors involved: The sharpness of the iron (or blade), the cutting angle, whether or not a chip breaker is used, the mouth opening, and so on. What got me to thinking about this was using my old No. 3 Stanley plane. I had installed a new Hock blade and chip breaker. I was using it to smooth the edge of a board prior to glue-up for a larger panel. It’s a sweet plane. The evidence is in the photo. But it turns out there are a lot of woodworkers that are also interested in how a well-tuned plane really works. Check out the links and videos below. Posted on October 3, 2013 by Randy MaxeyPosted in Hand Planes, Sharpening, WoodworkingTagged Hand Planes, Sharpening, Tools.